Specifically designed for machine quilters. 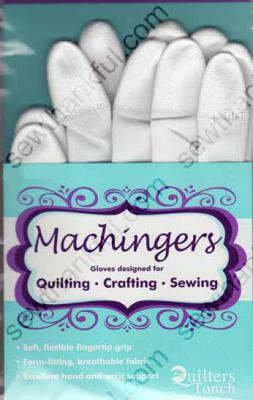 Machingers are lightweight and form-fitting. Keep gloves on to pull up bobbin thread, thread needle, clip threads, adjust fabrics, and add or remove pins. 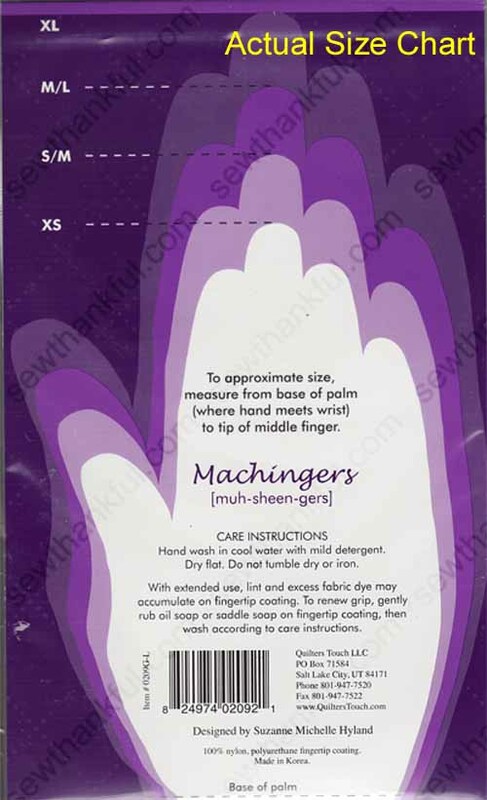 Machingers are available in four sizes—XS, S/M, M/L and XL. XS is less than 6 1/4" from the base of your palm to the tip of your middle finger. 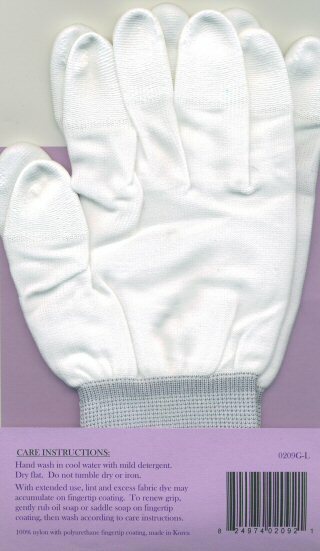 S/M is 6 1/4" - 7" from the base of your palm to the tip of your middle finger. M/L is 7" - 7 3/4" from the base of your palm to the tip of your middle finger. XL is greater than 7 3/4" from the base of your palm to the tip of your middle finger.